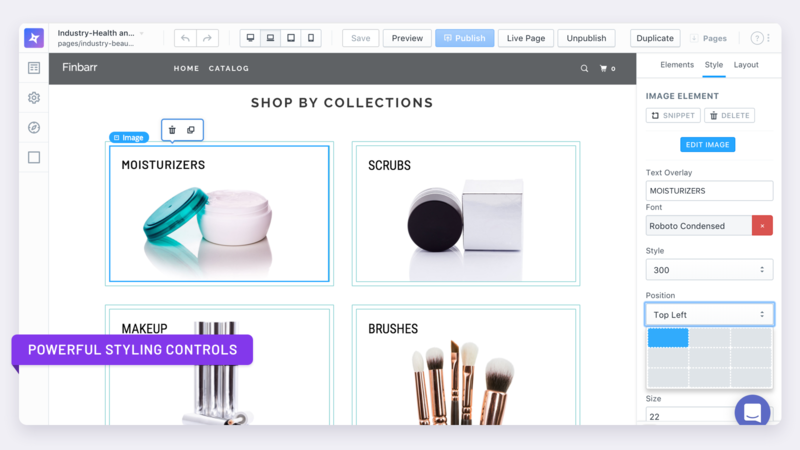 Driving traffic to your online store isn’t easy, but if you have the right tools, information and strategies, the potential for profit and success is limitless. 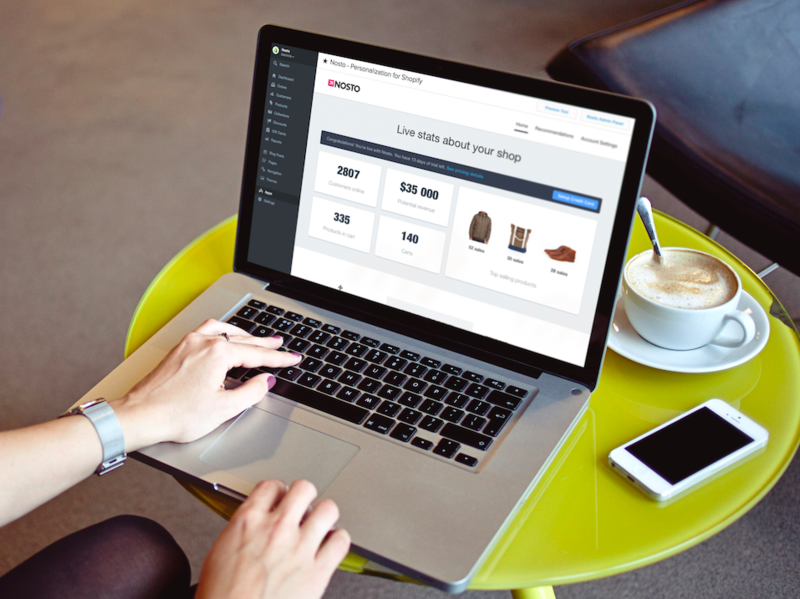 By using Shopify, you’ve already given yourself a head start, but to complete the race, you’ll need to master your marketing. Welcome to the second article in our six part series on the E-Commerce Customer Lifecycle (ECL)! This series will document unique factors in online selling that Growth Spark has learned over the past decade. In this series, we’ll focus on strategies and tactics that any brand can make use of to more effectively appeal to their customers. Check out our first article, Shopify Selling 101: The E-Commerce Customer Lifecycle, where we summarized each of the five steps for online store success. In this guide, we’ll take a deep dive into the first step, Acquisition, which is all about driving traffic to your site. This stage encompasses all of the ways you may attract a first time shopper to your store. Stay tuned for our next article, where we’ll take a deep dive into Conversion - the art of getting those new visitors to actually buy something! Whether you’re trying to attract your first customer, or your thousandth customer, driving traffic to your Shopify store is a challenge that never ends. In order for your store to thrive, you’ll need to define a mix of tactics that work for your brand, which will depend on your product, your audience, the problem your products solve, and your audiences’ shopping habits. In this article, we’ll dive into the best choices for marketing strategies, including what we’ve learned after a decade of working with hundreds of different companies. While the specifics of your plan will vary, however, one thing holds true for every business: success will depend on your ability to balance long term investments with instant-gratification strategies. At Growth Spark, we break marketing up into strategies that you “own” success, and strategies where you “rent” success. In order for your Shopify store to thrive, you’ll need a mix of both. There are many things that you can do that have only one cost: time. You’ll need to sink in hours and effort, but each of the below strategies can be done for free, barring paid assistance tools. We think of this as marketing that you own because once you’ve mastered each of the below tactics, you’ll be able to maintain your success fairly easily. Much like a physical piece of real estate, even if you started neglecting them, you would see a slow decline (instead of an immediate end) of their effectiveness. An essential part of engaging with your customer base is to meet them where they already like to go on the internet to be social: social media platforms. Thing is, there are a lot of platforms to choose from. Consider who your ideal customer is, and then focus on the top two or three websites they’re most likely to engage on. Form a plan that outlines how often you’ll post content to each and what kind of content it will be. Make sure you only share posts that are relevant, helpful, entertaining, or (ideally) all three. Post an image with at least 50% of your posts. Join in the communities that your audience’s are excited about. Consider contacting the influencers that your audience follows and inquiring about a partnership or trade of products for reviews or promotions. No matter how big your marketing team is, it’s also a good idea to use a social media management tool. There are many options available, and the right option will depend on whether you’re looking for a free option with basic functionality, or if you’re ready to invest in a high quality dashboard. Our personal favorite? Buffer. This tool is free for the first few accounts (hurray!) without sacrificing quality or functionality - you even get some basic analytics. We really love the ability to schedule content while browsing with the Chrome extension, which means that you can keep social media up to date while you’re doing your own industry research. Growth Spark’s Tip: Make sure that your tone, voice and personality match your website. If you’re presenting your brand as fun and approachable, make sure your Shopify store reflects that personality as well, or visitors will feel that they’ve been misled and leave. Search engine optimization (SEO) is a unique mix of technical strategies and high quality creative work. In order to get the most value out of your efforts, you’ll need to focus on both sides. The creative side of the equation is likely what you think of when someone says “SEO”: the written and visual media on your website that everyone can see. Years ago, SEO was all about the percentage of keywords, and could be easily gamed. However, as search engine algorithms have improved, effective SEO is increasingly reliant on highly valuable content that is clear and concise. The technical side, likely added by your e-commerce agency, has to do with correctly tagging various parts of your website in a way that is easily read by search algorithms. Luckily for you, Shopify has already put you ahead in this regard, as they include a full range of SEO features that make it easy for your designer to create a website that’s as loved by search engines as it is by your customers. The final piece of great SEO is making sure that you optimize your backlinks. Put in layman’s terms, this means you need other websites to link back to you. The more highly respected the website, the more it lifts up your own Shopify store. This practice is called link building, and it’s a mix of people skills and technical analysis. Growth Spark Tip: Great SEO has more to do with how your website is built than you may think. From difficult-to-read URLs to pages that are hidden from search engines, there are a lot of technical mistakes that can tank your rankings. If you’re putting out great content but not getting the results you wanted, it may be time for a website upgrade - or overhaul. Mastering SEO can be difficult to do manually, so we recommend investing in a dashboard to help you learn more about why your website is ranking a certain way, and how can it can be improved. Our favorite? Moz, which has a free resource to get you started, and whose paid option is absolutely worth it and covers all of your SEO needs. Often confused with SEO, content marketing is a slightly different type of marketing, though the two work together. Whereas SEO focuses on making search engines like you, content marketing is about making your customers really like you! Great content marketing is all about publishing high quality, valuable content. This includes written pieces (blogs, ebooks and whitepapers), photography, videos, and even infographics. Growth Spark Tip: Publish your content marketing on a variety of channels to get the most out of your work, while also linking back to your main website. Publish each piece on your Shopify site as well, so that visitors who are coming from somewhere else can easily and organically find your work. One of the most effective strategies for email marketing is also the most straightforward: collect emails from sales and by promoting your newsletter on your Shopify store and social media platforms, and then send out offers. In fact, 38% of people will subscribe to an email list if they believe you’ll give them coupons! Pulling off a great email marketing campaign could, theoretically, be done manually, but you’d spend so much time coordinating it all you would likely have no time left for anything else, and would still only be able to generate mediocre results. With the right automation tool, you’ll not only be able to create superior, personalized material, you’ll also be able to do in in a few hours a month. We recommend using Klaviyo, a great tool that will enable you to send super personalized emails with a few clicks (as well as a ton of other tools like Facebook advertising, user behavior insights, and more). Growth Spark Tip: Make sure to put a “Subscribe to our Newsletter” button somewhere visible on your Shopify store! It’s also a good idea to have at least a few design elements from your website present in your email layout to encourage your customers to form a visual brand association. What do you do if you don’t have weeks or months to build up your “owned” marketing efforts? You go and “rent” some success - in the form of advertising, a subset of marketing that offers instant but ephemeral results. Search engine advertising. These are the advertisements you see in your search results when you use Google, Bing, or another engine. Display. Ads placed in the middle of an article, usually distributed through an ad network. Social media. Promotions that appear on the sidebar or in the newsfeed of social media platforms, both on desktop and mobile displays. Retargeting. Promotions that are triggered after a user looks at your website - these are technically a subset of all of the other categories. Fat head: Ads based on broad, popular keywords, in which the most successful brand is the highest bidder. Long tail: Ads tied to highly targeted, specific keywords, with a lower audience. While these ads may not pull the same numbers as fat head ads, they often end up having a higher ROI over time. Creating a successful advertising campaign on any platform, however, will require that you complete three key tasks: audience selection, creative, offer and ad spend optimization. Selecting the right audience to show your ads to is a critical step in making sure they’re optimized and efficient. If you select too broad an audience, you’ll be throwing part of your ad spend at people who aren’t interested in your product. If you select too narrow an audience, you miss out on potential buyers. Online advertising also gives you the opportunity to select specific demographics and keywords, so make sure you have a solid handle of exactly the type of person who buys your product is, and what they’re looking for when they find your store. A compelling, eye catching visual that will resonate with your viewers. This isn’t the time to skimp and use just any old stock photo you can find - make sure it’s relevant and appealing. An effective call to action. Most online advertisements do not give you more than a line or two for written content. Make sure to make it count with a brief, action-oriented message that focuses on the value you can deliver. It’s important to also keep in mind the medium that your ads will show on. For example, Facebook now offers a multi-product carousel, which gives you a lot more room to show off what you can do. If you’re running a video advertisement, you’ll have a lot more time to explain your product - but you’ll need to do it in a way that holds the viewer’s attention. As we touched on earlier, ad spend will be a major determinant of how your advertising performs, but a smaller budget doesn’t necessarily mean less results - it just means a greater reliance on finding the correct, super specific keywords. Regardless of your budget, you’ll want to frequently review the data around your advertising spending, and adjust your strategy accordingly. Growth Spark Tip: Don’t skimp on A/B testing your advertising! It’s impossible to know what the optimal advertisement looks like for your demographic on your first try - or your hundredth, as it will continuously change over time. Commit to continually improving your advertising to get the best return on your investment. Throughout your marketing and advertising, you’ve had one goal: get the right people to look at your website. Great web design is both the final stage in the acquisition process, and a powerful driver of many technical marketing strategies (such as SEO, as mentioned earlier). Make sure you don’t skimp, or what was it all for? When a potential customer clicks through from your marketing or advertising, they should see a website that is consistent with the brand impression they’ve already formed. This means that not only should your color scheme and design elements match, the tone and personality should as well. Growth Spark Tip: When you’re building a website, work with your designer to make sure that everyone that has a stake in your company’s online presence is on the same page about visuals, personality, tone, and core messaging. Pay attention to the information that comes through in the user’s UTM parameters, or the data that comes through with their click. This may mean specific demographic information (if they’re coming through from a social media platform), the keyword they were searching for, or the link that led them to your site. 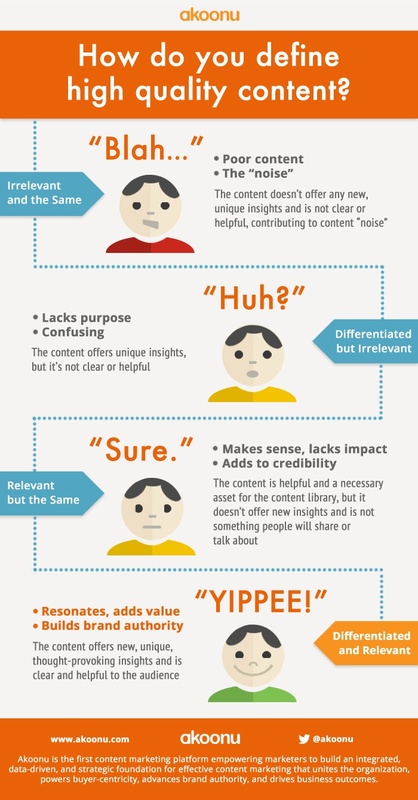 Make sure that you personalize the content to reflect what your customer has already told you! Growth Spark Tip: The best way to “wow” customers is to show them that you were listening. Invest in a personalized suggestion engine for your Shopify store to make sure that they can always find what they’re looking for. We love Nosto, an app that offers onsite recommendations, emails, and even behavioral pop-ups and Facebook ads! If the customer is clicking through from an advertisement, or maybe a specific social media platform, you can drive them to a landing page that is more likely to appeal to them. Don’t feel that you have to limit yourself to just driving people to your home page. The best part about landing pages from the perspective of an entrepreneur? Not only are they effective, but you can easily make them yourself! We love Shogun for this, because it’s drag and drop (no tech experience needed) and you can put a page together in minutes. Growth Spark Tip: Landing pages can be incredibly effective, and they can also be much more simply designed than the rest of your website - but make sure you keep the core elements around, or your customers may think they’ve gone to the wrong place. An important point to keep in mind about driving traffic is that it’s not just about the numbers - your store needs to attract the kind of people who would be interested in your product. While it can be tempting to focus on visitor counts, never lose sight of the fact that your real goal is sales. It’s not uncommon to feel overwhelmed when it comes to the topic of acquisition, so it’s important that you prioritize asking for help. After all, each channel is an entire industry in and of itself; trying to manage all of a growing company’s marketing, advertising, and PR campaigns single-handedly can be a recipe for disaster. The honest truth that we’ve seen working with hundreds of brands is that, in all likelihood, you’re going to be really great at one or two strategies for each category. While I encourage you to experiment with what works, once you find it, don’t invest valuable time and money into those that don’t give you as much value. Find what works and dig into it - you’ll get much less out of a mediocre presence everywhere than a really amazing campaign in one category. There’s marketing you own, and marketing you rent. When you’re doing SEO, writing all of that content, and slowly climbing up in search results, that’s something that you own. It takes a while to build up, but once you have it, it sticks around if you maintain it. Whereas with advertising, you can get results instantly, which is why it’s so great - but the second you stop paying, it’s over. The best approach is to balance it, so you have a bit of both sides. One of the most common mistakes we see is when a company invests all of this time and money into a really great (and effective) campaign, but it’s a completely different tone and message than what their website delivers. The customer is attracted to that initial contact through your outreach, but then they’re met with a company presence that doesn’t match - and isn’t one that they’re interested in interacting with. They don’t like it, they don’t trust it. Sometimes that means that your campaign is off the mark, but more often, it’s because the design of your website doesn’t actually match the preferences of the people you’re trying to attract. Driving traffic to your website can often seem more like a tedious math problem than anything resembling human interaction, given the number of dashboards and analytics that you’ll look at on a daily basis. Resist this feeling, especially when you’re dreaming up new campaigns. Remember, in the end, your Shopify store isn’t that different than a brick-and-mortar shop on a busy street - it’s all about catching your customer’s eye, enticing them with a great display, and then rewarding them with exactly what they wanted when they finally walk inside.